Shopping for an engagement ring is not without its share of challenges. Whether you are purchasing a ring for your beloved, or you are choosing the ring together as a couple, the process can be frustrating at times. Many people make the mistake of looking at mass produced rings at a shopping centre jewellery retailer rather than considering a custom made ring from an experienced jeweller. To give you an idea of why the latter will always give you the biggest peace of mind, keep reading our top challenges when buying the engagement ring at a generic mall jeweller. Uneducated salespeople. A solid understanding of diamonds and other stones is essential. While salespeople at a mall store may have a vague idea about ring cuts, settings and the Four Cs, they may lack critical information that helps you make the best choice. A professional jeweller, on the other hand, would be able to suggest a lower carat diamond that still has ample sparkle, helping you stay within your budget without sacrificing the look of the ring. Likewise, a good jeweller can also help you choose the best stone cut to suit your finger shape and hand size. Mass produced rings. Most brides dream of having a unique, handmade ring that does not look exactly like thousands of similar rings made en masse. A major challenge to overcome when browsing rings from a chain store is that rings are made in very large batches. You may have some variation, but not as much as you would when buying your ring from an experienced, professional jeweller that specialises in engagement and wedding rings. Going to an expert who is able to make a custom ring is the only way to ensure a truly one of a kind ring. Over-bearing salespeople. It can be intimidating dealing with pushy salespeople. A number of high-end jewellery retailers have a very clever strategy that involves popping the bubbly and pampering potential customers. This strategy is carefully designed to encourage customers to spend as much as possible. Even if you are not treated to bubbly, salespeople can add a great deal of pressure to the decision-making process. Lack of insight on metals. Finally, many jewellery salespeople are also limited in their knowledge on metals. Those with allergies will need to stick to metals that are hypo-allergenic, such as platinum. Other customers may have a general idea of which metal to choose. Having a jeweller who understands the qualities of each metal is vital to ensure that your dream ring becomes a reality. All in all, the only way to avoid these challenges is to consider a jeweller that is able to craft unique rings that will last a lifetime. Contact Cape Diamonds today if you would like to know more about finding the very best custom engagement rings in Cape Town and surrounds. 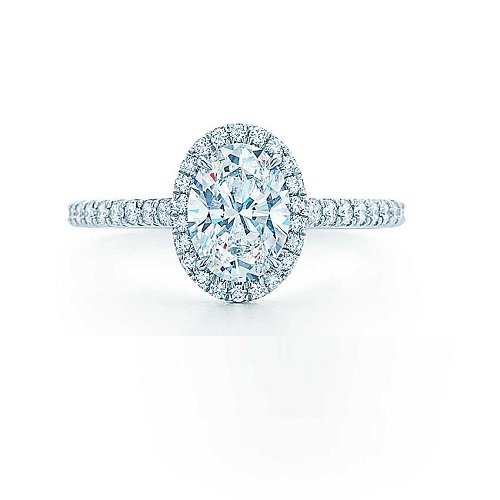 Flattering on most hands, oval engagement rings are classic, elegant and timeless. 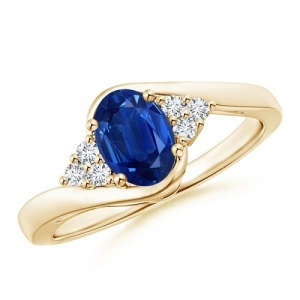 This style can be incredibly versatile as well, working well with just about every ring style. 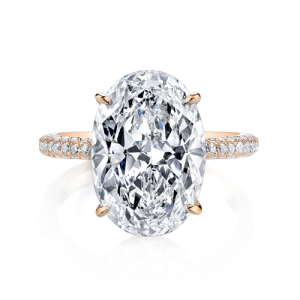 Whether you are seeking a simple solitaire that helps elongate your fingers subtly or an ornate ring design that is eye-catching in all the right ways, oval cuts are well worth considering. In this mini ring guide, we take a look at some of the engagement ring styles that work well with an oval shaped diamond or precious stone. 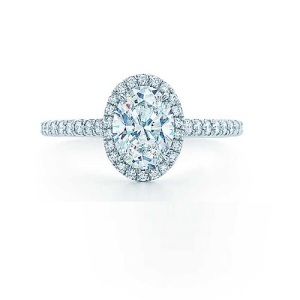 A full or half pave band that flows up to a halo helps to add maximum sparkle to oval cut stones. 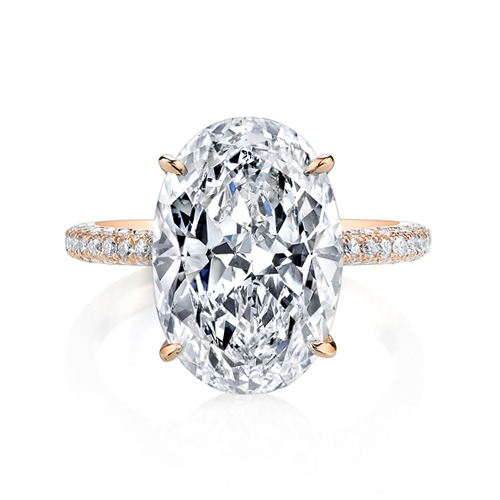 This style is especially good if you have a smaller centre stone or one that has fewer carats. It works with regular and brilliant cut diamonds, but also works well with other stones and metals, such as morganite and rose gold, or ruby and platinum. 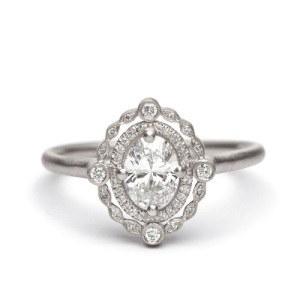 Another variation of the halo is an ornate, vintage style double halo. This design is feminine and pretty, with tiny stones making up the second halo. It works well in platinum or white gold and diamonds. Coloured diamonds could be used for the centre stone, first halo or second halo to add more impact. You could also change the metal colour or even use two metals. Three stone or trilogy rings are a favourite among many brides-to-be. 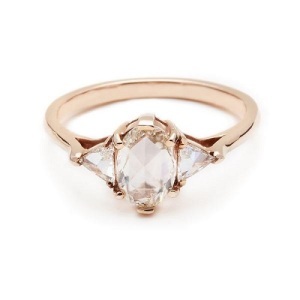 This style represents your past, present, and future, making it deeply romantic and symbolic. Oval cut stones work well for the centre stone or the side stones. Whether done in rose or yellow gold or even a cooler toned metal, this style is soft and classic with an elegance that will never go out of fashion. Two tone rings can add lots of impact without going over the top. Mixing and matching metals also helps to add focus to the centre stone. In this example, warm and cool toned metals are used on the band and prongs, off-set against the cool toned diamond in the centre and the pave stones on the band. The result is an eye-catching ring that is unusual and interesting. Ideal for romantics at heart, halo rings do not have to stick to classic pave. 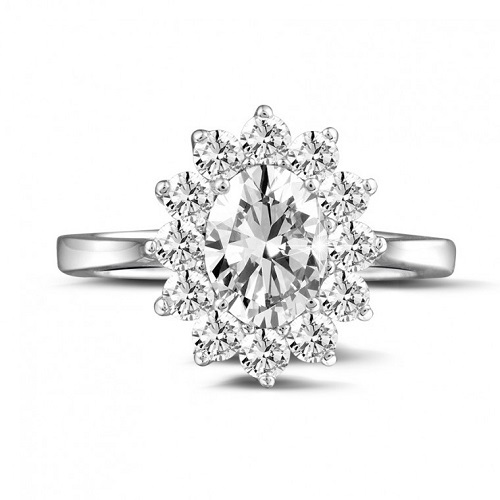 This floral design uses tiny stones that are set around the centre stone. These stones will catch the light for optimal sparkle, while also giving the illusion of petals. The result is a floral inspired ring that is unique, beautiful and full of sparkle. You could add more impact by using different stones in the centre or halo. Twisted bands add visual detail without overpowering the centre stone. In fact, the twists in the band can help to highlight the stone, making them appear bigger. When flanked with tiny stones, this result is magnified even further. Sapphire and gold work especially well in this design, with muted diamonds used as the side stones. The ring is bold, beautiful and far from ordinary. Finally, another timeless choice is the halo split band. 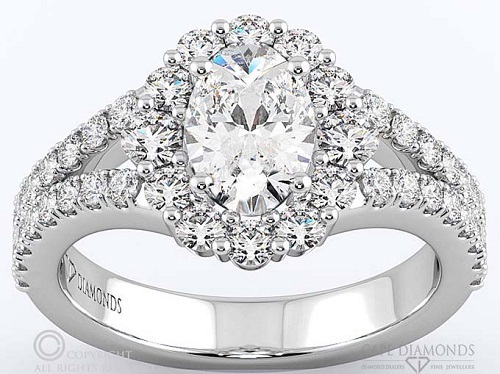 The Cape Diamonds Cluster Split Band Oval Halo in platinum is a sophisticated choice for the bride who is seeking a ring that will last through the ages. The gentle split of the band helps to enhance the size of the centre stone while making shorter fingers look longer and slimmer. The pave stones further maximise the sparkle, catching the light easily. Whichever style you prefer, one thing is for sure... oval cut stones are a good choice for just about every finger shape and hand size. This style will never date, either. 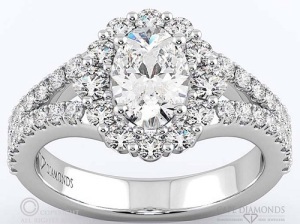 To find out more about custom ring design in Cape Town, contact Cape Diamonds today. We will help you find the perfect choice of engagement rings that suits your budget, preferences and style.